Thank you to Mint SIM for kindly sponsoring this post. All opinions are 100% honest & completely my own. 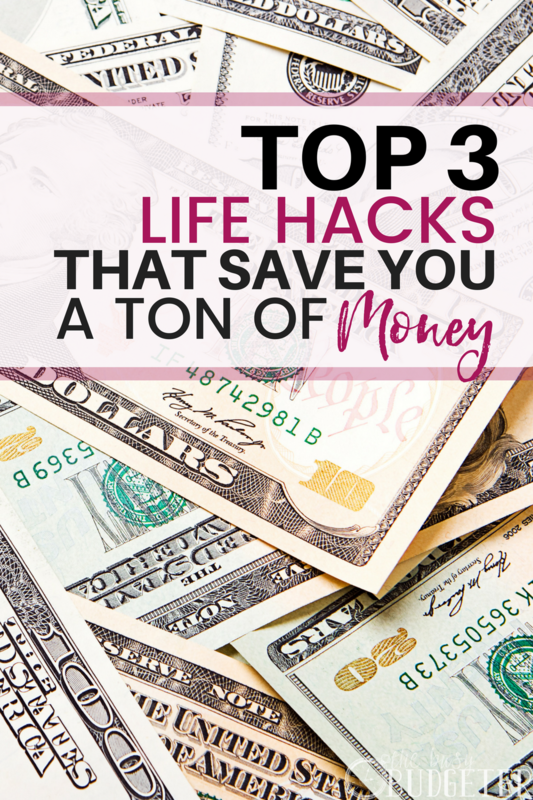 The smartest life hacks to save money involving looking for cheaper substitutions on the things you’re already spending. Specifically, the goal is to spend less to get the same thing or better. Heads up! 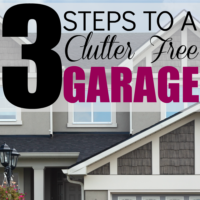 If you’re struggling with meal planning, cleaning routines and home routines the FREE Home Rescue Challenge was made in honor of you! Doing this lets you reduce the amount of money that your “base budget” is without needing willpower (which you likely don’t have) to stay on track. That gives you more money to play with at the end of the month to put towards your larger goals like savings (or you know, the Home Decor aisle at Target). One of the easiest ways to find extra money monthly is with your cell phone carrier. Which leads us to Life Hack #1. 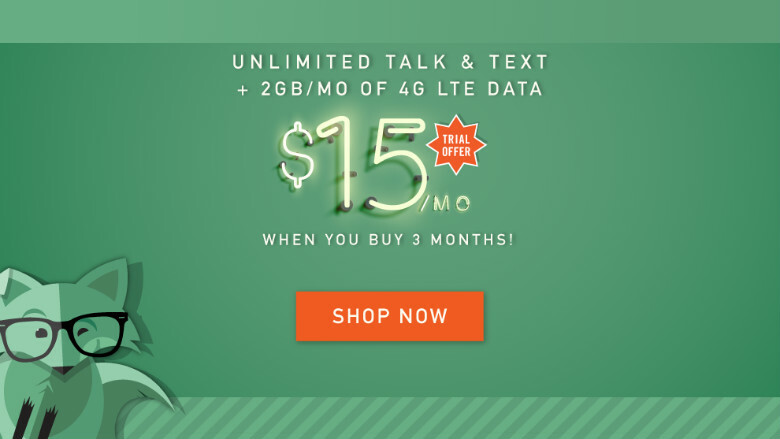 Life Hack #1 : Switch to Mint SIM for Unlimited Talk, Text and Data for $15/month! Traditional cell phone plans seem archaic in today's consumer driven climate (almost as bad as cable TV). They’re expensive, usually require contracts, and they want you to buy the phone from them. Enter Mint SIM. It’s a budget game changer. Mint SIM is a prepaid wireless service that lets you save money because they have the lowest monthly talk, text, and data plans of any nationwide carrier (We save over $70.00/month coming from T-Mobile with our two lines). Mint SIM has no contracts, and unlimited talk, text and data. The price of your plan is determined by how much 4G LTE data (super fast data!) you want. They start at $15/month for 2 GB of 4G LTE data (remember- lower speed data is unlimited and you can connect to your WiFi for free) and go up to $25/month for 10 GB of data. You can use the phone you already have or you can buy a new one if you want to. You can even keep the same phone number. Mint SIM has nationwide coverage, but you can check the coverage map here to make sure you get great service in the places where you spend the most time. I’m a huge fan of Mint SIM, this is a “game changer” for your monthly budget! Mint SIM has some major benefits with no drawbacks. Saving $70/month on our two phone lines makes it so we can put that money toward things we actually want without having to sacrifice anything at all. It’s a no brainer deal. For us, that's $840 a year that we can add to our Disney World Fund (or my HomeGoods fund). Feel free to spend that money on shoes or use it to pay for Christmas. The point is that spending less money for the same or better service is the easiest way to reduce your spending. It requires no willpower, and lets you fund the things that you really care about (so you don’t have to sacrifice in areas that you don't want to). Set up is super easy (I did it by myself, which is the gold standard of “easy” according to my husband.) And it only has to be done once… Then you never touch it again. The big question of course is “why is this so cheap?” How can they deliver the same product for significantly cheaper than other companies with no drawbacks? It’s actually pretty genius. Because Mint SIM is online and digital only, they have no stores to maintain (which are insanely expensive), they need fewer employees to give better customer service, and they grow mostly through word of mouth from happy users, so they don’t need the massive marketing budget that a traditional cell phone company needs (you’re about to find out the power of word of mouth marketing- you’ll start telling everyone you know about Mint SIM in the first month… everyone does it) and because you buy High Speed Data in bulk, you get it at a huge discount. Hint: Use Promo Code: LIFEHACK and Sign up for Mint SIM here to get free shipping as well! You can have everything you need to run your life delivered to your house at regular intervals for less money than you spend shopping in a store for it. Don’t believe me? I’ve been doing it for years. 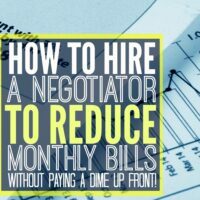 I’ve price checked this multiple times and every single time… I spend considerably less when I automate (we’re talking over $100/month in savings!). Stores like Walmart and Target give you free shipping while the online prices are the same or cheaper than in store. But because you’re planning ahead and buying them at low prices (versus paying a premium for things at a grocery store when you run out), you save money. The major savings comes into play when you factor in how many impulse purchases you would have had when getting those things in the store. How many times have you run to Target for shampoo and left with $200 worth of stuff? By automating everything online, you remove the temptation and you have the confidence of knowing that you have everything you need to run your life. 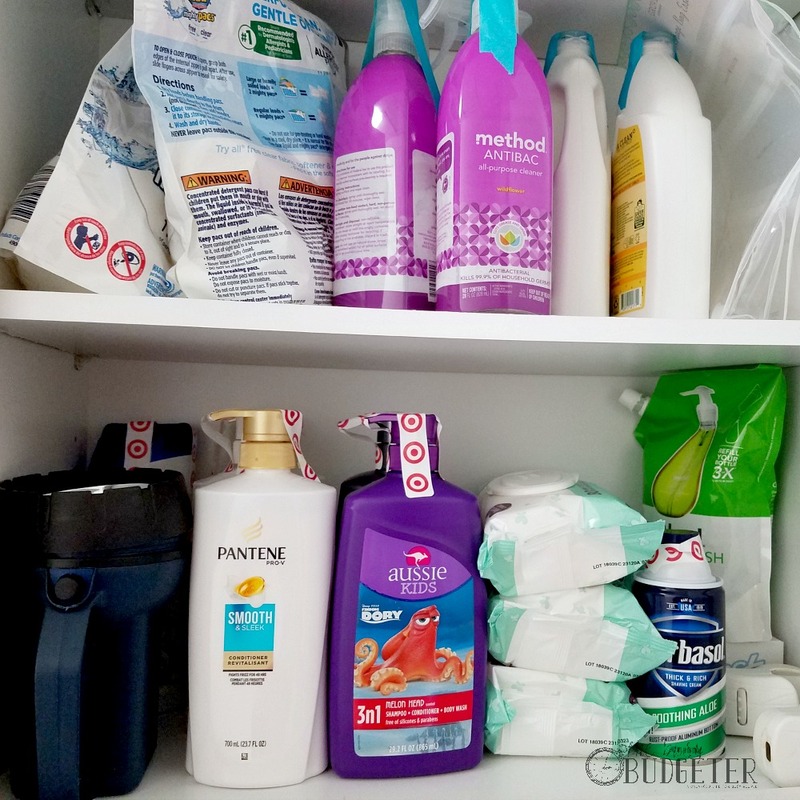 We automate things like shampoo, laundry detergent, all purpose cleaner, mascara and more. You can see a full list of the things we automate here. As a bonus, you also save 1-3 hours a week in time (depending on what your current habits are). You can take this a step further (we do!) and automate your grocery shopping with Walmart Grocery, Peapod, Harris Teeter pick up, or a similar service. If you meal plan and shop from a list, this will save you time and money as well since you can quickly sort by price and avoid impulse purchases (and your kids throwing in bags of gummy bears undetected). Extra time and money to do what you really want to do? #winning. 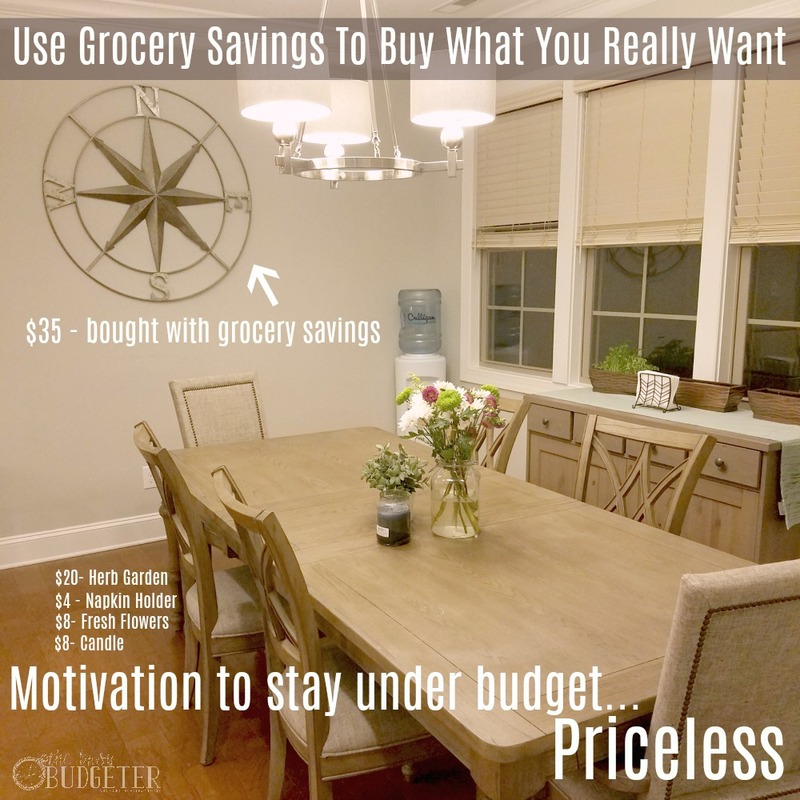 If you’re struggling to stick to your budget or spend less on groceries, I have a simple fix for it (that’s almost foolproof). Likely the reason why you struggle is that you can’t get as excited about saving money or paying off debt as you get when you buy new shoes. So it’s easy for us to blow our budget and buy shoes because it’s what we want. We get an immediate rush of dopamine and we’re happy. But staying on budget is hard (or near impossible) because it doesn’t match up with our “wants”. Even when we really want to be debt free or we really want what we’re saving up for, we may not have the willpower to say no to shoes now in order to get that reward later. In order to stay under budget consistently (and love doing it), you have to incentivize the desired behavior (spending less) with what you really want (in my case- HomeGoods shopping sprees and new shoes). You set a monthly amount for groceries that works into your budget. Divide that amount into a weekly amount to spend. For every week that you spend less than your weekly grocery budget, take the difference and go spend it. That’s it… spend it on whatever you want. What you’ll find when you do this is that it’s suddenly super easy to be under budget on groceries. You save money because you’re getting your “wants” out of the way without having to add it into the budget and you stay on budget every month. As you get better at reducing your spending, you can reduce the amount set aside for groceries to save even more. This simple life hack works with almost everyone. Don’t forget to sign up for Mint SIM to start your savings! Sign up here. Would any of these work for you? Have you ever tried them? 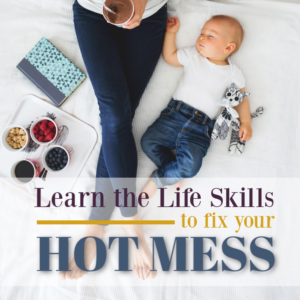 If you're struggling to manage life as an adult… go back to basics and learn the 3 foundational routines that will change your life as an adult. I have to look into Mint SIM. I wasn’t familiar with this plan. We gave up cable 2 years ago and don’t even miss it. We have saved a ton of money and I would love to do the same for our cell phone bill as well. PS – I have the same dining room chairs (the ones with the wood back). I price shopped and got them for a great deal last year. I love your idea to save money so you can spend it on what you really want! We constantly remind ourselves that we may be sacrificing little things now, like going out to eat or buying clothes, but when we enjoy a vacation or buy a car later this year in CASH, I don’t think we will be missing those dinners out or pretty clothes. Also, your dining room is so cute! That is quite a savings on the phone and I love the idea of spending any money left over from the grocery budget! Makes me want to be more frugal just thinking about it. Another great article by you. Thanks! I’m obsessed with the idea of incentivizing to budget. That’s awesome. I love to shop but need to stick to a budget so now I’ll just buy less at the grocery store! GENIUS. The idea is awesome but implementation is a bit hard. Implementation is always the hard part! It’s also the part that makes the difference. I am intrigued by the idea of automated grocery shopping. Grocery shopping is always a hassle and takes up too much time. I have tried Amazon for some items but I should explore this more. I wanted to let you know that we just switched to Mint because of this article. We kept our phones and ported our numbers.I used Rosemarie’s code for free shipping. mints customer service was excellent and the representative walked me through everything I needed to do. now we’re only paying $15 a month and the extra money we saved we get to put back into savings or maybe go out to eat. Thanks for the great tip. Automating the grocery buying process through subscription-based buying is indeed a great way to save money. Nice tips! Busybudgeter.com thanks for the hacks. Love the time and money that automation saves us! We like to use Amazon Prime Pantry set on a 6 month delivery. I totally agree that a lot of the savings comes from removing yourself from all of the “super buys” and clever retail tricks when we’re in a store! Thanks you have made a wonderful post. I love and appreciate your commitment. 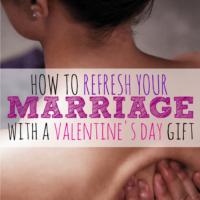 I love the idea of incentivizing your budget. When we shop in a hurry, it’s easy to buy things without thinking much about the cost. Incentivizing gives us that extra push to make smart purchasing decisions. Thanks! I’m fixated on the possibility of boosting to spending plan. That is amazing. I want to shop however need to adhere to a spending so now I’ll simply purchase less at the supermarket! Virtuoso. Mint Sim look like a game changer. Will have to take a look at it. Definitely, if I can save $50/mo on phone bills, it would help in monthly budgeting. Thank you so much for the great advice on cutting cell phone costs! We just started using Mint Mobile and are now saving $150 per month. That’s $1,800/year! It’s amazing! I’m always looking for ways to cut down on expenses and this one has just become the new front-runner (aside from controlling that grocery budget). I love that switching our phone provider saves so much money, but nothing else changes. This made it super easy to get my husband on board for the switch. It’s one of those effortless ways to save money. Can’t beat it! Like you, I have zero tech skills and had no problems setting this up. Thanks for the great recommendation! Definitely loving the idea of treating myself if I’m under budget!! Whoop whoop! I really need to look into Mint, with kids getting older and all the phones and tablets we have.. I need something cheaper! My wireless bill is becoming as big as my car payment. It’s ridiculous! It’s CRAZY how much cell phones cost! Mint is a great option! Great. Just learn new things about life. keep posting. 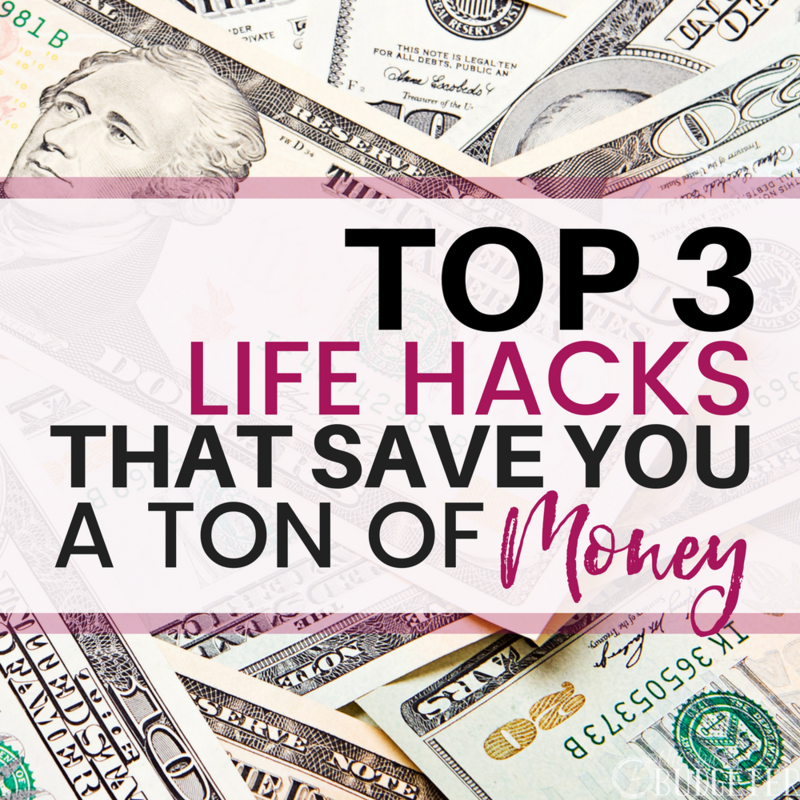 I loved reading your top 3 life-hacks for saving money! 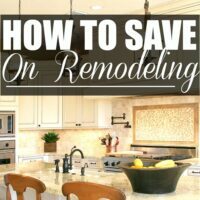 I’m always looking for ways to save! Especially on groceries. Something I’ve been experimenting with recently is limiting my grocery trips to every other week! I know, sounds insane, but I’ve saved over $100 every month just by going twice a month instead of every week! It’s amazing how much we spend on impulse purchases, and how much we can save by limiting our grocery trips! Its an good idea but i think its take time for me .Any else thanks for sharing. It was so informative blog post for me, thanks for the sharing it.